This bath bomb is the KING of exciting bath bombs. Lush is famous for their bath bombs and so at my last visit I asked the SA to show me the most exciting & colourful one for toddlers, yes this is the ultimate toddler bath bomb. I mean the images speak for itself, it's pink and white with multicoloured circles that all very slowly fizz away in the bath water and lasts about 5 minutes which is good as most are gone in 1 minute flat. The circles separate from the pink creating a marbleised finish that all blends into each other and eventually it all turns into one shade of pink. Esra had SO much fun watching the colours change and blend. She also decided to paint herself with it which was quite funny & exciting to watch as she was all PINK! The downside is it does stain the skin slightly but does wash off quite easily. I'm happy to say it didn't stain the bath like I feared, so it's a win win and by far the best bath bomb we have tried and we have tried plenty that have never been worth blogging about. And the scent?... AMAZING! I would definitely recommend this for older toddlers, 3+ and young children or adults too if you need some cheering up! It would make a great stocking filler for Xmas, but it's only limited edition so stock up, I'm going to get a few more and keep them as special treats. 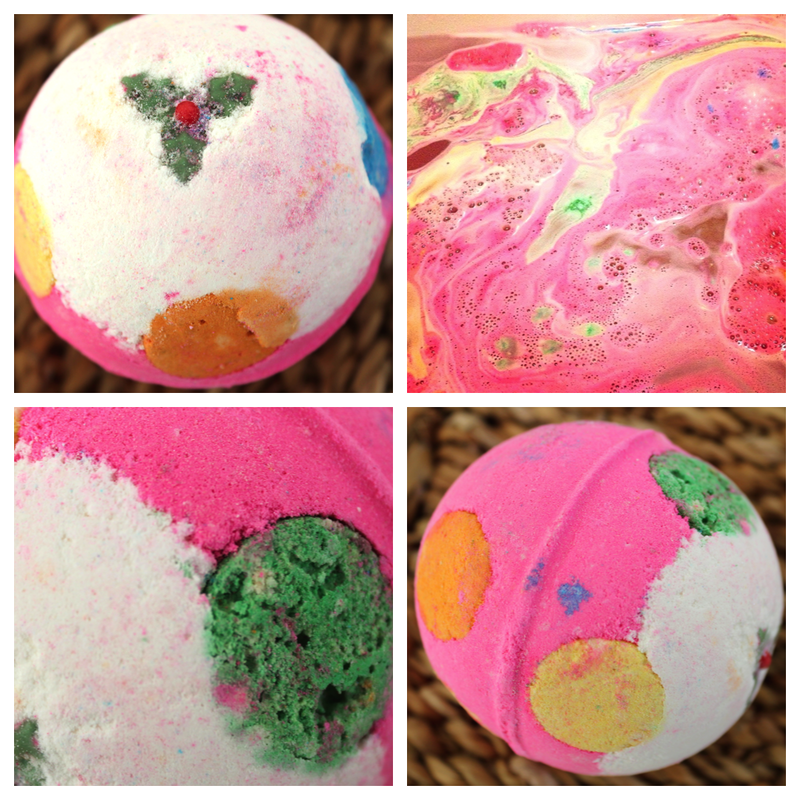 All of a sudden I'm craving ice cream, these Lush pud baths look "delicious"!